Typography has the power to clarify messages, and make them more effective in communicating ideas. Often in the web and graphic design worlds, typography is used as a catch phrase - a buzz word, but most people have no idea what it means, or why they should care. Consider this a beginner’s guide to Typography, why it matters and how it can help. "A Typeface is a particular design of type." There are seven main classifications of typefaces and around fourteen different sub-classifications. For brevity, we will cover the main four typically seen. Serif: A typeface characterized by having “feet” attached to a letterform designed to help distinguish individual letters from each other. 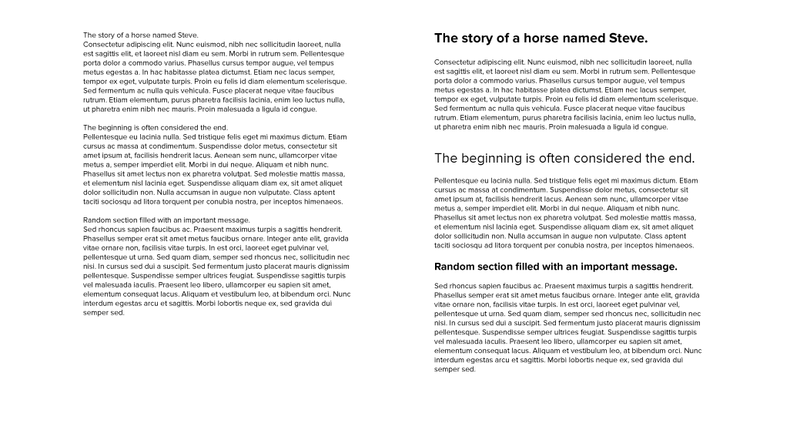 Sans-Serif: A typeface similar to a serif but without feet and commonly defined as “Neutral” (see Rabbit Trail #1). Script: A typeface designed to emulate a pen stroke, or brush stroke akin to handwritten letters. Decorative: This classification often introduces flourish elements to other classifications of typefaces to differentiate them, while visually interesting, these typefaces are often very project specific. 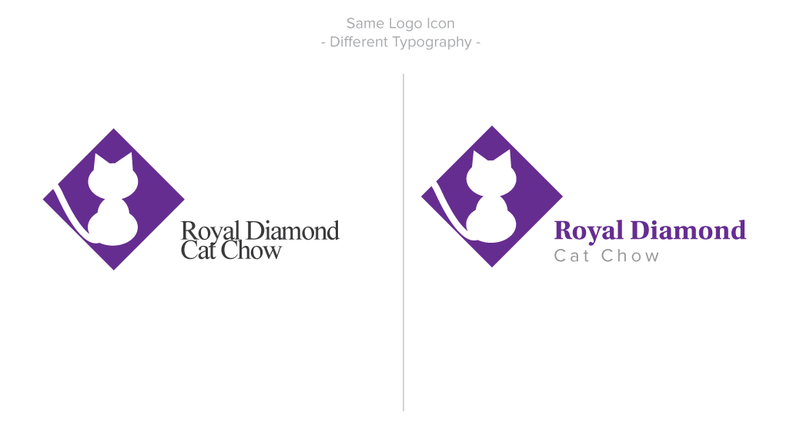 Example: A designated permanent drop shadow. 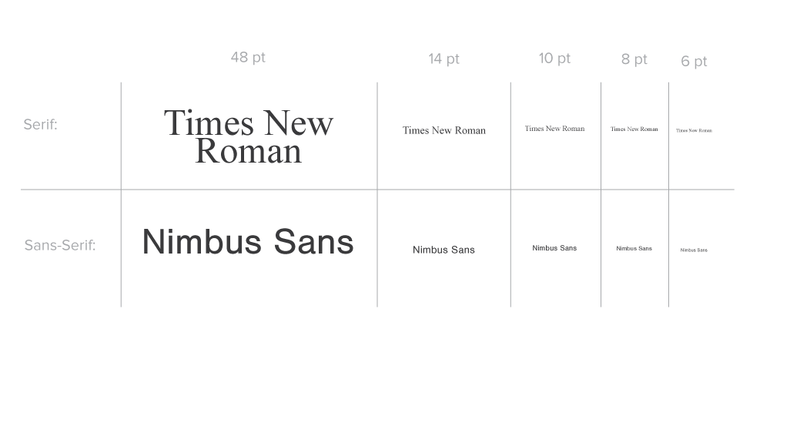 What is a Neutral Typeface, and why should we care? Looking back at Example #1, we see the “Kristen ITC” typeface imbues the word “joy” with a childlike innocence, in addition to making the word “fear” appear happy and jovial. In comparison, the typeface “chiller” provides a real sensation of fear and anxiety to the word “fear,” and seems inappropriate for the word “joy.” These two typefaces (Kristen ITC and Chiller) are perfect examples of typefaces containing stylistic cues designed to help a reader engage with the message and content of the text. In contrast, a Neutral Typeface like “Proxima Nova” (Arial or Helvetica) are purposely designed to be absent of stylistic cues, and thus attempt to remove associations attributed to the words by the shape of the letter or font. In Example #1, when the word “fear” appears in “Proxima Nova,” it doesn’t imply freight or terror in the same way that “joy” doesn’t imply happiness and giddy delight. Both words must be accompanied by more words to bring details which provide information as to their true connotation. For this reason, many Government’s official fonts and most books are printed in a Neutral Typeface, because it allows words themselves to become power, not the shape and form of the words. Size: The actual size of the text. All three of the stop signs say “STOP,” but only one of them does so in a manner that is clear, distinct from various distances, and can be seen by looking out of your window and down the street. The first stop signs typeface “Blackoak STD” would appear like a white bar from a great distance, whereas the stop sign to the right, making use of “Ravie,” appears as if it’s a joking or just kidding around. The middle sign, however, provides the right balance of absolute clarity, and capability of being viewed at greater distances without disappearing into a white bar. In this example, the typography is simple but fills an important position. 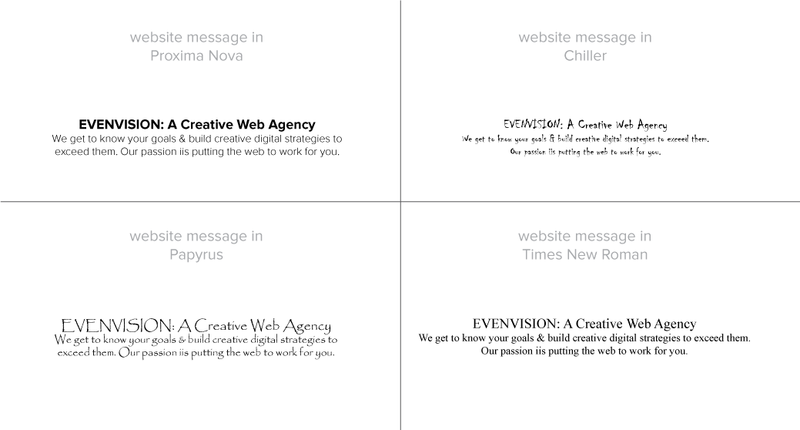 How does typography apply to websites specifically? 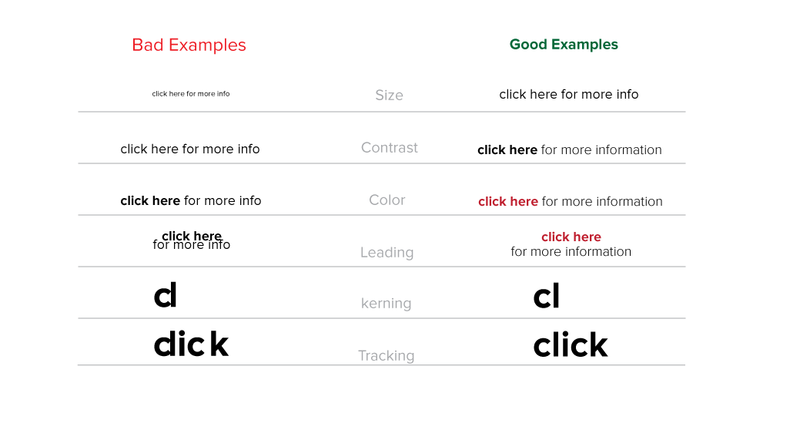 Why is typography important on the web? That’s a good question because at EvenVision we focus on web development. Typography is critical for a good website because a website's primary function is to distribute a message, whatever they maybe. Okay, there is good typography, and there is bad typography. If you want to get your businesses message out to the right people and have it tell the right story, then it’s of utmost importance that typography is considered in the process. When it comes to typography on the web, there is a new element to consider that’s been gaining a lot of traction; owing to the simple fact that words are being viewed not only on 19-inch monitors, but 4-inch phones, and 1-inch watch displays. In Typography this is called “Scalable typefaces” (not to be confused with web-optimized typefaces which will be discussed in a separate post). Scalable Typeface: A typeface designed to resizable without compromising the legibility of the text. Typically, these typefaces are Sans-Serif’s owing to the width of the letter form. 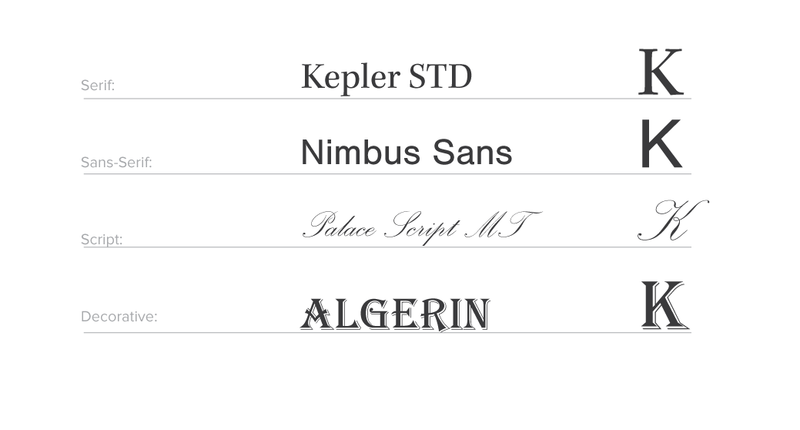 From Example #2 we can clearly see that the Script typeface has a varying thickness in the letter “k;” even the serif typeface “Kepler STD” has a good deal of varying contrast which can make parts of the letter disappear at small sizes. Yet the sans-serif, which has an equal thickness and contrast throughout the entirety of the letterform, can be shrunk down very small and retain legibility. Okay, by now you’ve got it. Typography is more than just a buzz word. It’s crucial in sending out messages. It can define, shape, and inform your audience of your message before they even read the words you’ve written. Now that you’re been armed with the tools required to optimize your message, get out there, tell it to the world! Let's get together and chat. Typefaces are powerful tools for impacting people's impression of a brand or a website, and we use the best around.